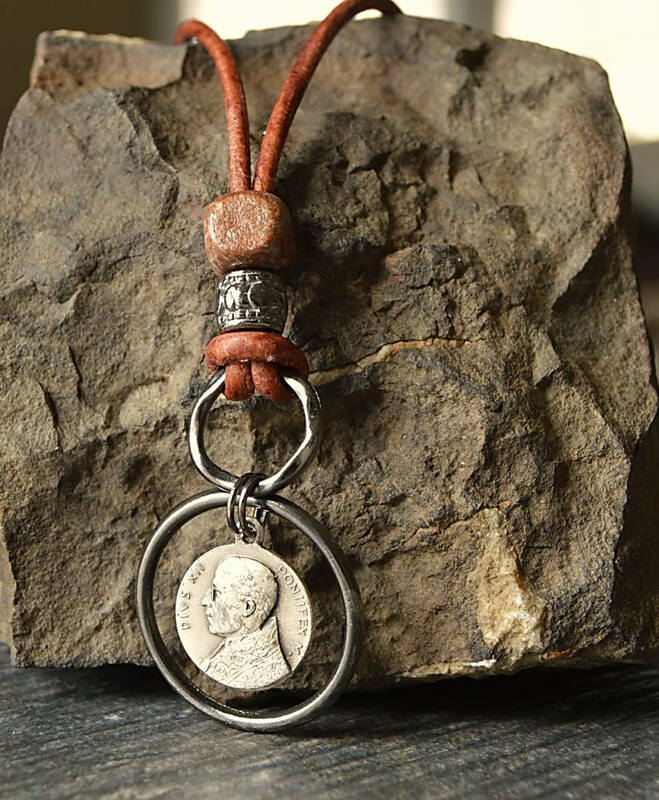 Men's Catholic leather necklace, featuring a vintage Pius XII medal with Saint Peter engraved on the backside and framed in an antiqued silver finished ring. 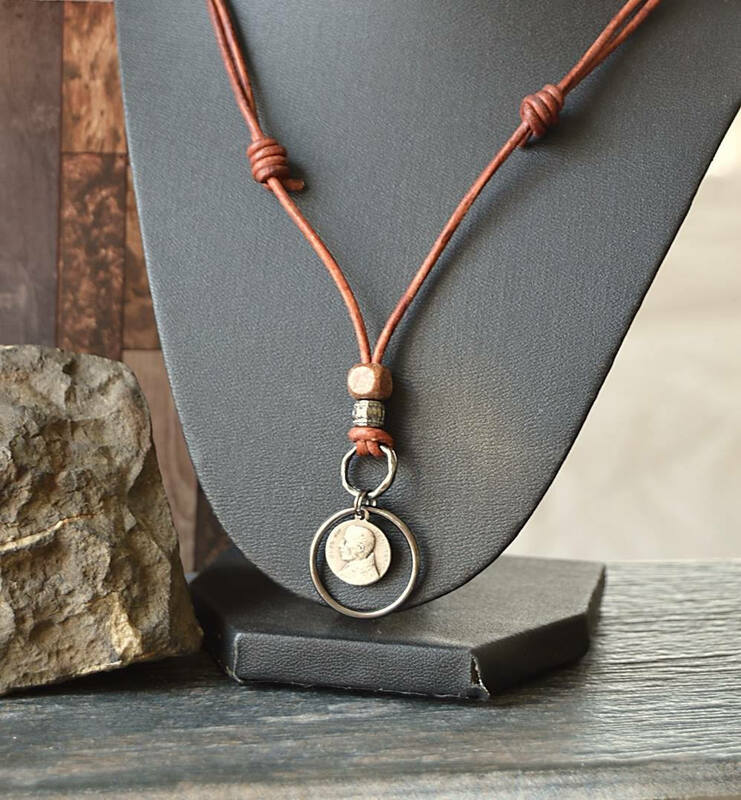 A wood bead and antiqued silver bead accent the the rustic design. 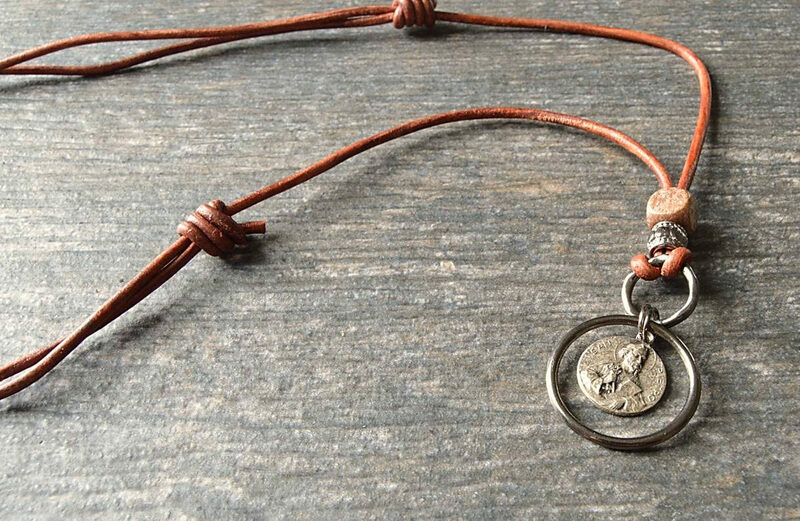 A soft leather sliding knot adjustable cord allows for a necklace length from 24 to 34 inches. 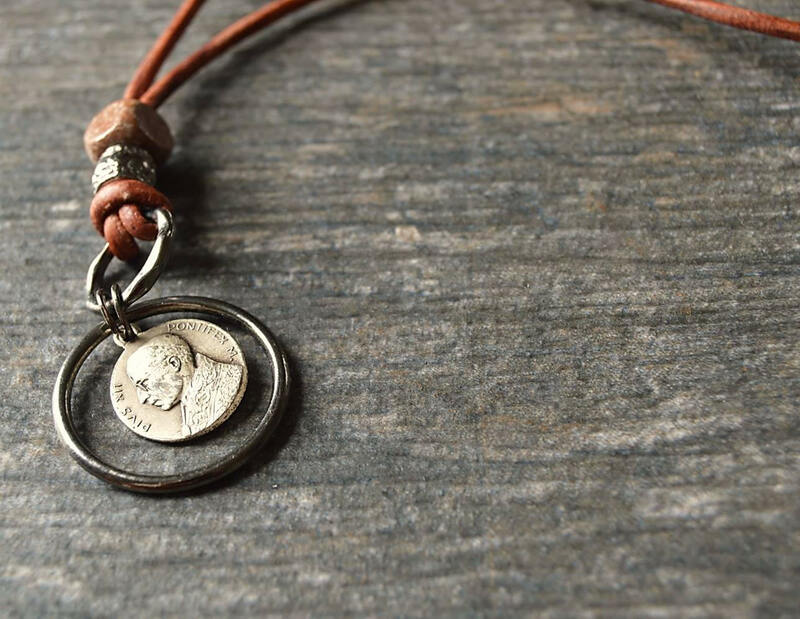 A perfect addition to your religious jewelry collections, a thoughtful remembrance for a special anniversary, Confirmation gift or a personal expression of devotion. 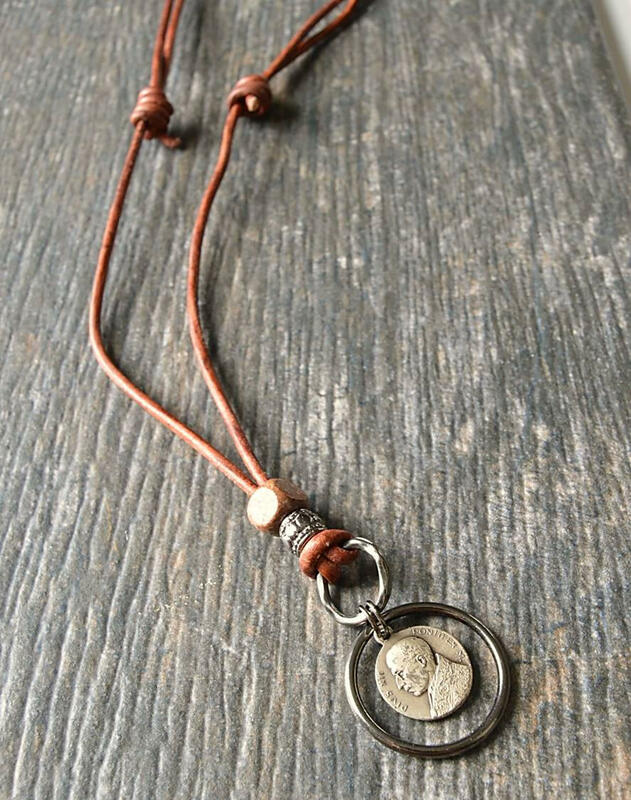 Many of the items we create contain both vintage and new components. 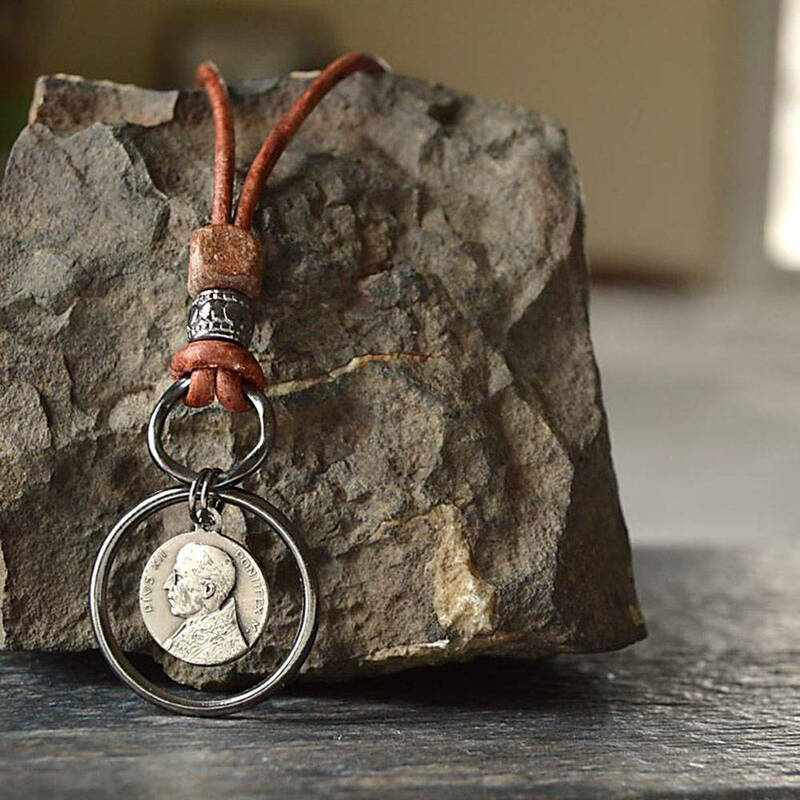 We do our best to accurately describe each item’s condition through photography and copy. Vintage components by nature are not in brand new condition. Although I have been a collector of antiques and vintage items for many years, I am still learning. I may not always know exact dates, manufacturers or materials, but I will do my best to provide you with accurate information. Please convo us with any questions about our items.